The European Court of Human Rights ordered today the Italian government to “to take all necessary measures, as soon as possible, to provide (Sea Watch 3 migrants trapped outside Syracuse) adequate medical care, food, water and basic supplies”. The Court also ordered Italy to give 15 unaccompanied minors aboard the Sea Watch “adequate legal assistance (e.g. legal guardianship)”. Italy must keep the Strasbourg Court regularly informed of the developments of the applicants’ situation. The order comes as an ‘interim measure’ while the Court decides on the migrants’ claims their human rights have been breached. The SeaWatch 3 has not been allowed to enter the harbour and the migrants on board complain that they are detained on board without legal basis, suffering inhuman and degrading treatment, with the risk of being returned to Libya without evaluation of their individual situation. In its decision, the Court did not grant the applicants’ requests to be disembarked. 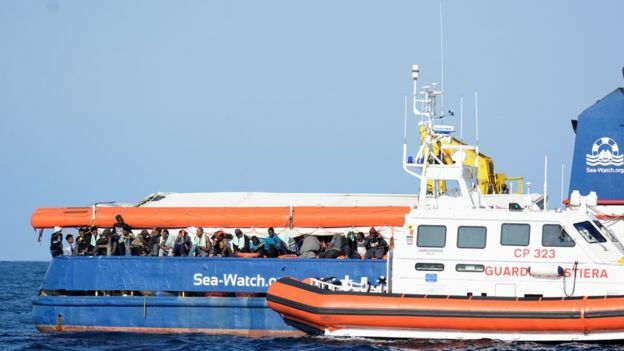 The Court’s decision came after it received an urgent request in the context of an application lodged by the captain of the SeaWatch 3, the head of the rescue mission as well as by one of the migrants on board. A subsequent request was lodged by the 15 unaccompanied minors on board. The applicants requested that all 47 migrants on board, rescued in the Mediterranean, be allowed to go ashore since the situation on board the vessel was precarious and the migrants in poor health. After the first urgent request, the Court asked for further information from the parties, who replied yesterday. The ‘interim measure’ is not in itself a decision on whether the Court agrees with the merits of the complaint. However interim measures are granted very rarely where the Court agrees applicants would be exposed to a real risk of irreparable damage. The case has a significant bearing on Malta as the country has adopted a line similar to Italy blocking the landing of migrants saved by NGO rescue boats. The interim measure suggests that the government is obliged to at least provide passengers on these boats with emergency supplies (and legal assistance for minors) while their request to enter a harbour is being assessed. It’s not today. But that day will come.